Hocking Associates are an independent chartered surveying practice drawing from extensive local knowledge in providing in depth and comprehensive surveys and reports for clients throughout Helston and the surrounding area. Offering surveys designed to suit all property types from thatched and cob cottages to large country manors and everything in between, Hocking Associates take pride in our ability to offer expert and reliable advice to all our clients, whatever their specific needs. As an independent practice we are able to tailor our services to our clients’ individual requirements, offering all the information they need on a property. Whether you’re a landlord looking for a buy-to-let investment or you need professional advice regarding the best survey for your property type, we are more than happy to help. With extensive experience in surveying all property types in an in depth, comprehensive manner for all clients, choose Hocking Associates with confidence. While originally a market town, Helston is now more famous for its Flora Day and well known for its positioning at the beginning of The Lizard Peninsula, leading to locations such as The Lizard itself, St Keverne, Cadgwith, Helford and other towns. Helston is also on the main route towards Penzance where the villages of Breage, Ashton and Praa Sands are located. Helston has seen considerable development over the last 15 years, there now being two major superstores together with in town facilities, and the Flambards theme park is also located nearby. 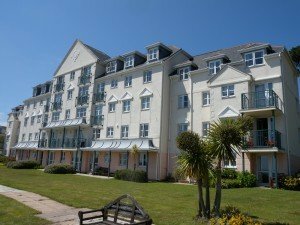 There has been considerable residential development where demand has remained good, this in part being supported by the nearby Royal Naval Air Station at Culdrose, from which search and rescue facilities have also been based in the past. Helston also has a main road running towards Redruth, off which Coverack Bridges is located, there also being a route running towards Leedstown and Hayle, off which villages such as Nacegollan and Praze can be found. Hocking Associates are an experienced team of surveyors dedicated to providing first class property related services for clients throughout Helston and the surrounding areas. We provide two main services designed to ensure that clients have all the relevant information needed; the Building Condition Survey (not to be confused with the RICS Condition Report) and the Full Building Survey. Building Condition Survey (not to be confused with the RICS Condition Report) – A comprehensive report looking at the condition of the property. The Building Condition Survey is designed to identify any major defects or repairs which may directly affect the value of the property. Any defects found will be reported upon and photographed where possible. Full Building Survey – A detailed report covering all visible and accessible elements of the property. This report covers any defects found within the property in greater detail, providing more in depth technical terminology concerning the condition of the property. We also provide a number of additional property services designed to ensure that clients have everything they need when purchasing, selling or renting a property. Services include Property Refurbishment Advice, Valuation Reports, Schedules of Condition and more. If you require any additional information about our services, please do not hesitate to get in touch with us today on 01326 379222. Call us on 01326 379222 and speak directly to a member of our team, or email us by completing the form found on our contact page and we will be in touch shortly. We look forward to hearing from you soon.